If you’re a parent, no doubt you want to ensure your kids are healthy, happy, active, and safe. Organized sports and after-school activities are a great way to make sure your little ones get plenty of activity and learn teamwork. In the U.S., 60 million children between the ages of 6 and 18 participate in organized athletics. These activities are a great source of excitement for kids and parents alike! However, in addition to ensuring kids get plenty of benefits from being active, parents also want to be aware of the potential risks of injuries. Safety is a top priority! It’s interesting to note that more than half of all sports injuries to children are preventable. And up to 39% of sports injuries are dental-related! 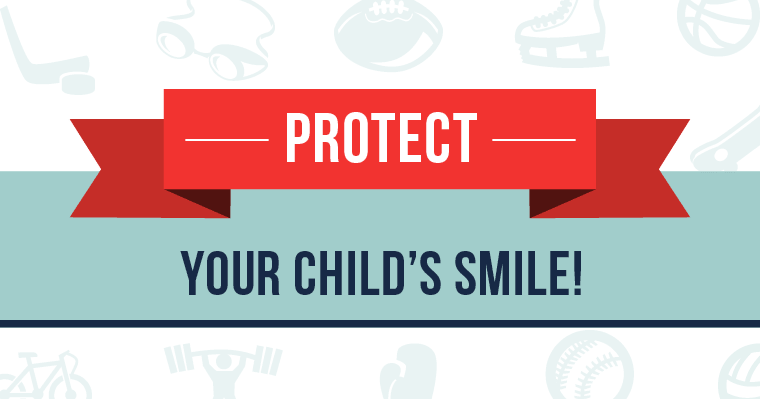 Many parents spend a lot of money on athletic clothing, shoes, and equipment, but they may not be aware of the need to protect their child’s teeth. Sports mouthguards to the rescue! Mouthguards are a good investment to protect your little star’s teeth from damage. Schedule a consultation today and we’ll help you protect your child’s beautiful smile!